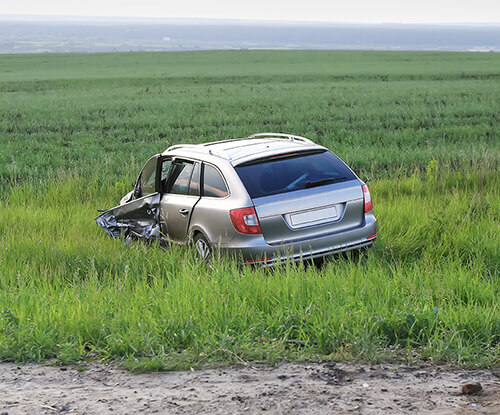 Not all car accidents involve other vehicles; sometimes you can get into a crash with your car alone. There could be several reasons why this happened. For instance, maybe a pedestrian decided to walk out in front of your car and you were swerving to miss them. Or you were trying to avoid hitting a stopped car in the middle of the road and lost control of your vehicle. Whatever the case may be for your accident, it’s obvious that you’re the one to blame, right? Common wisdom would say that if you were the only one involved in the accident then you may be the one at fault. But this isn’t always the case. In fact, a single vehicle accident case is not always so cut and dry. But what about the times when there are other factors responsible? For instance, a defect in your automobile caused you to swerve off the road and hit a tree. Or there were road signs to warn you to reduce speed or there’s an obstruction in the road. Or maybe the road itself is in poor condition, causing you to pop a tire and swerve out of control. Whatever the case may be, if you believe that someone else may be liable for your single vehicle accident, these cases can become extremely complex. It’s best to speak with an experienced car accident lawyer in Houston to help guide you through the insurance process. If you were involved in a single vehicle accident in Houston, get help today. Contact the car accident attorneys at de Lachica Law Firm, PLLC, today for a free consultation.